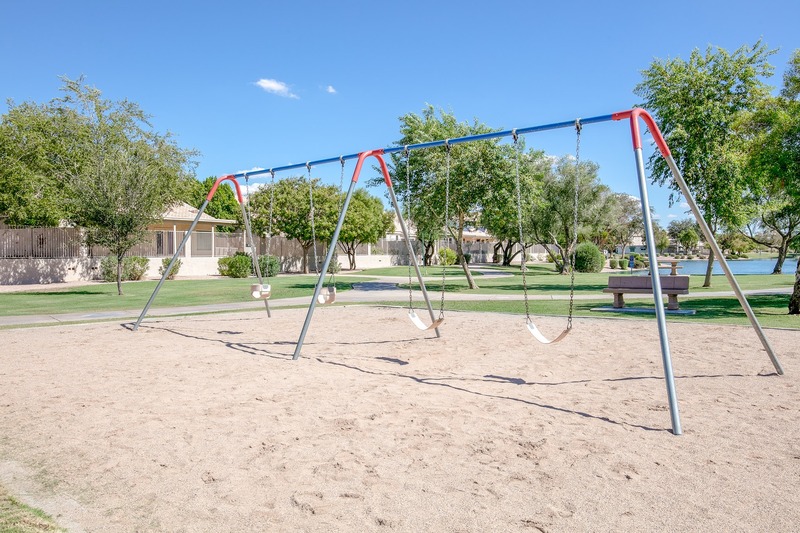 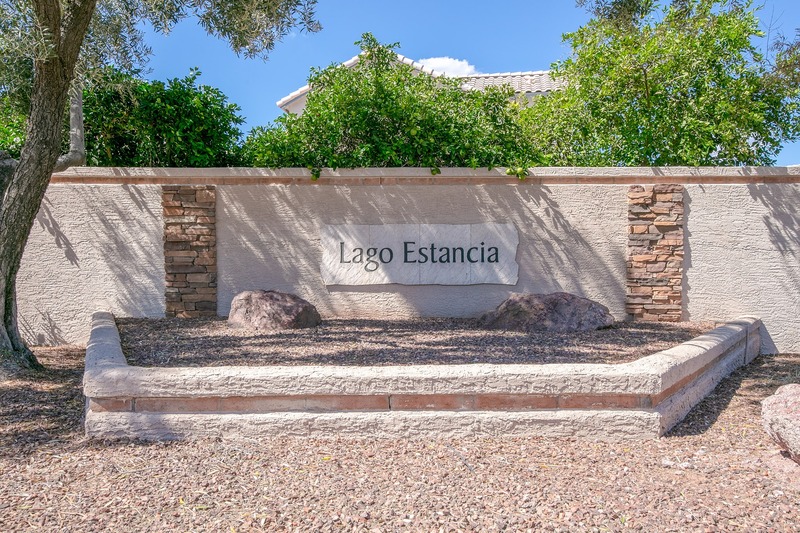 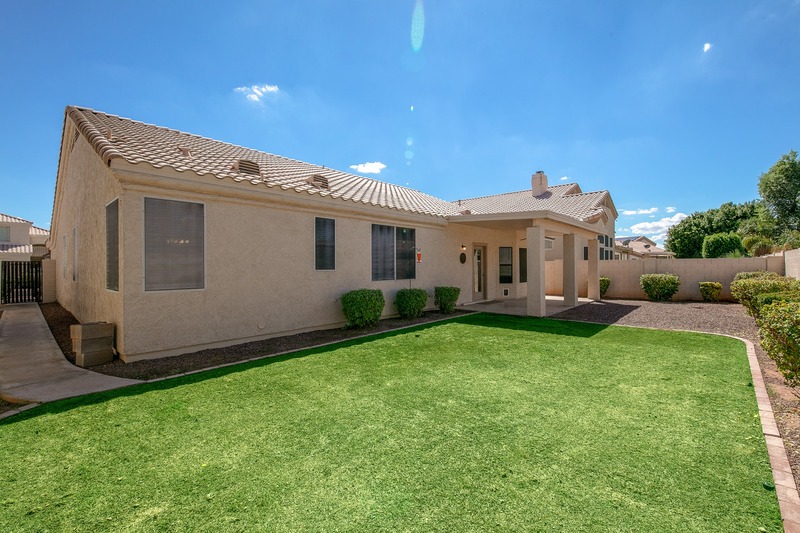 Welcome to the highly sought after community of Lago Estancia in Gilbert! 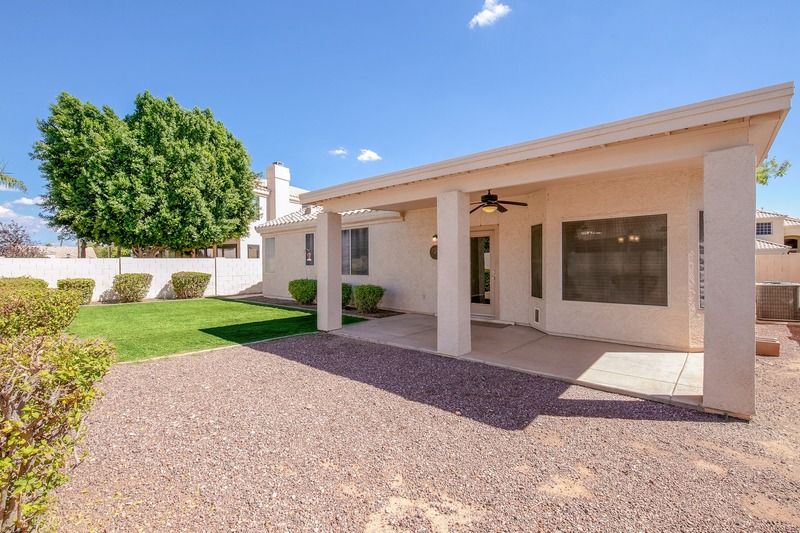 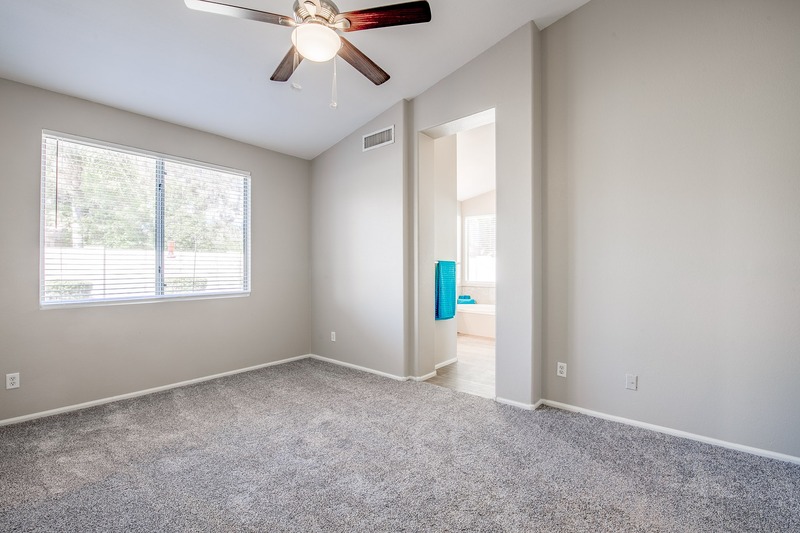 This newly remodeled 2,014 square foot home includes four spacious bedrooms, two full bathrooms, a three car garage, and has no two stories behind it for an unparalleled level of privacy! 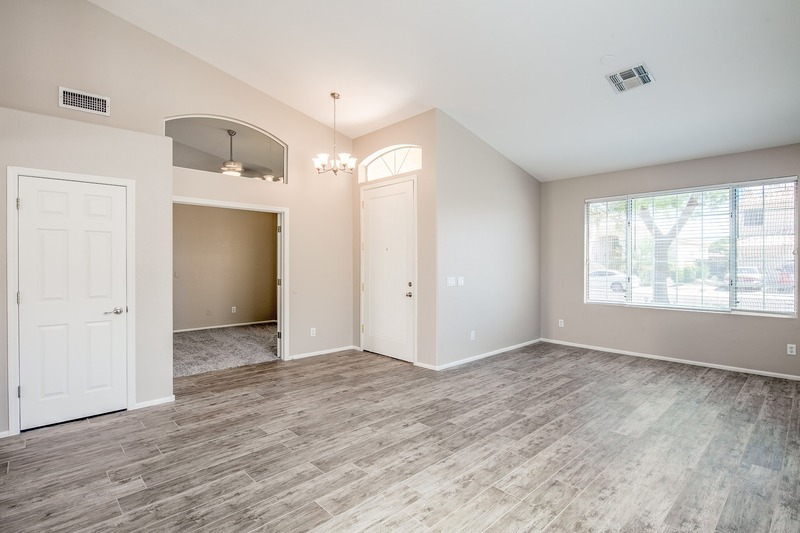 Trendy wood look tile throughout the formal areas and a neutral paint pallet mean you can fill this home with a pop of color! 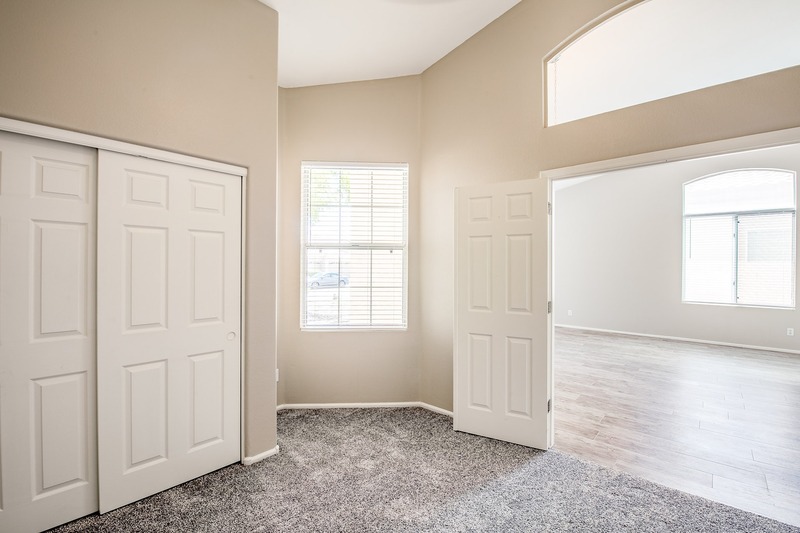 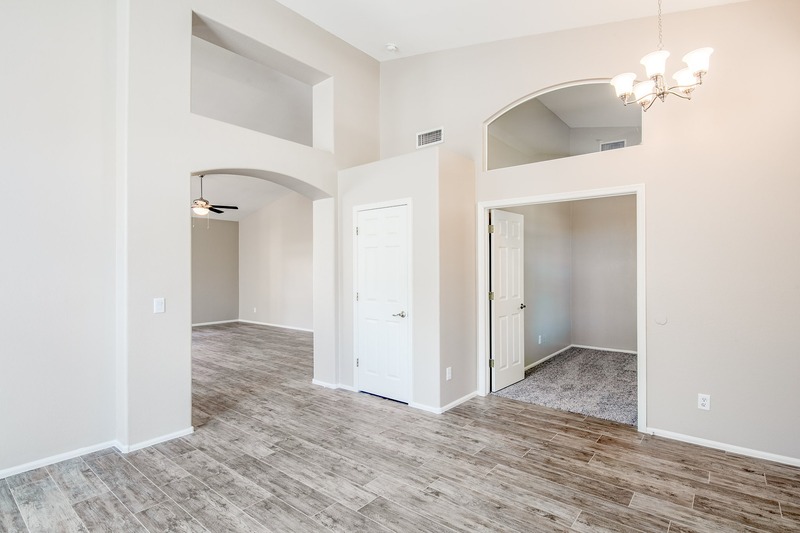 Enjoy entertaining guests in your large living & dining room or step into the quiet through your double door entry bedroom perfect for home office or playroom. 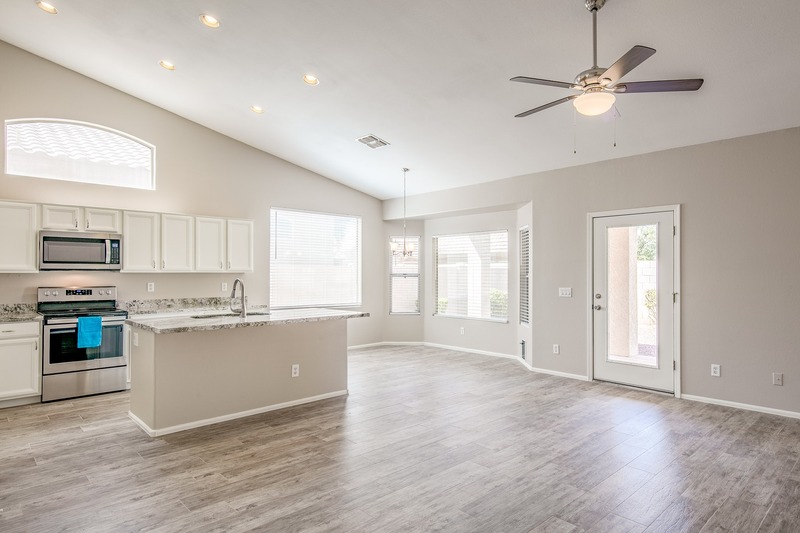 The front rooms flow effortlessly into the newly renovated kitchen with views of the backyard and family room. 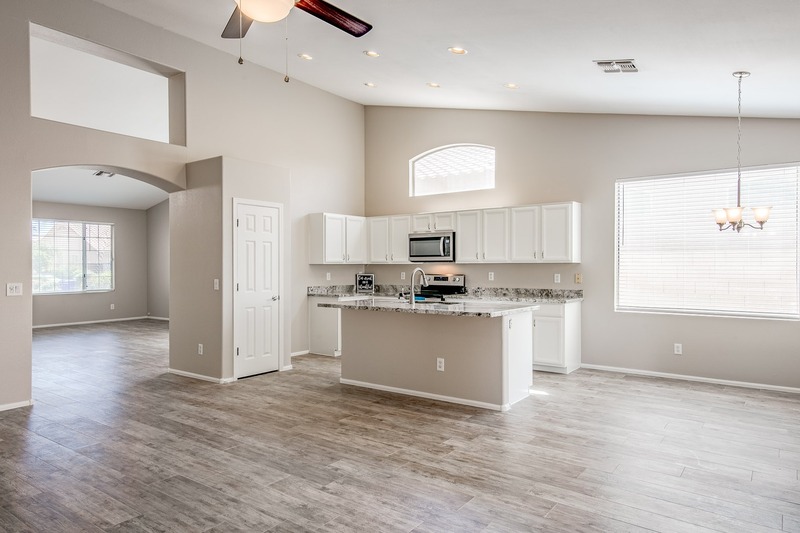 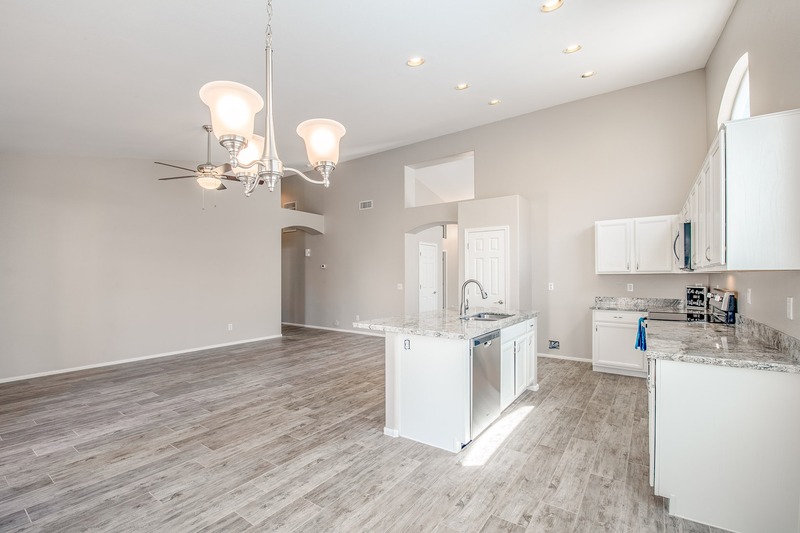 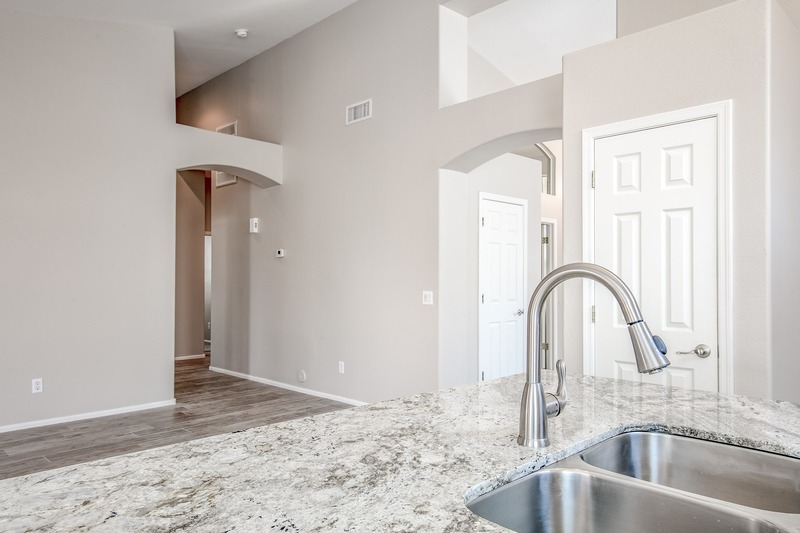 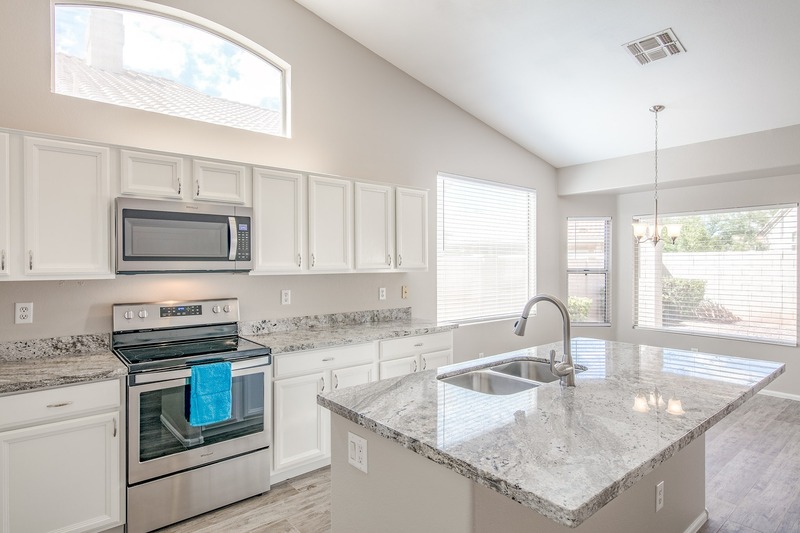 Luxurious granite slab countertops, stainless steel appliances, a large center island, and dining area make for a chef's dream! 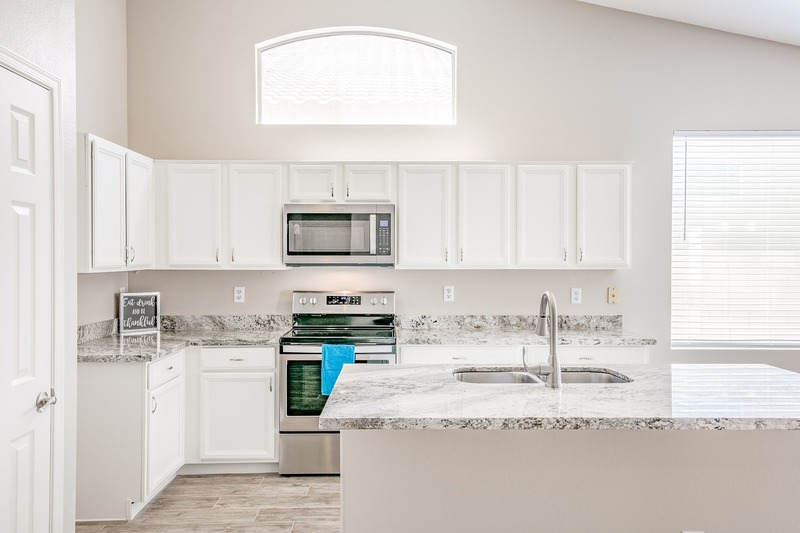 You'll be the envy of your family and friends with a modern, Pinterest-worthy kitchen! 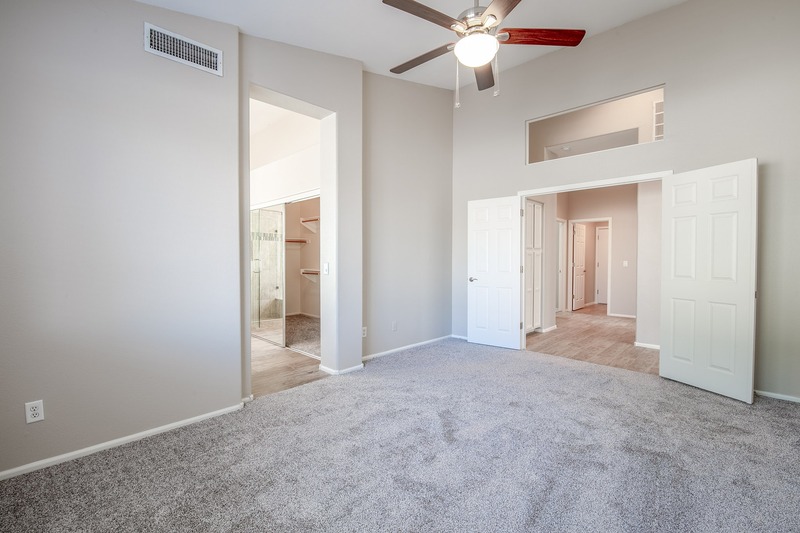 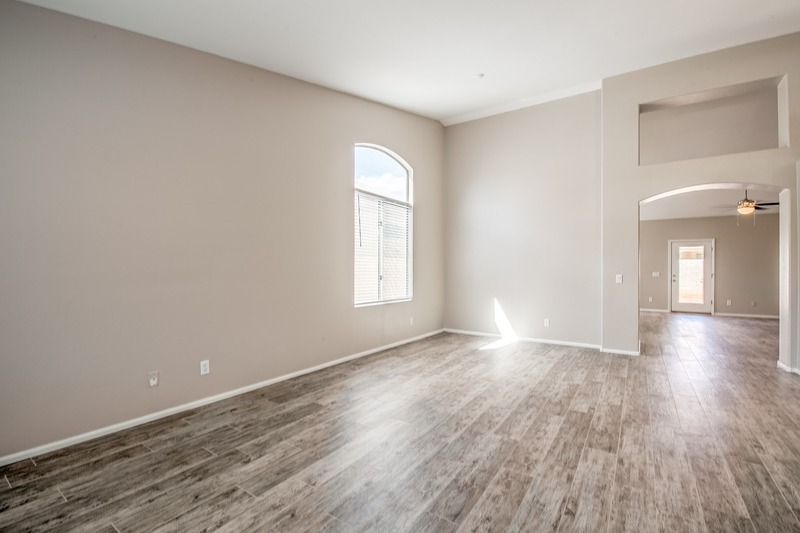 Vaulted ceilings, a double door entry, and tons of natural light bring a light and airy feeling to the master suite. 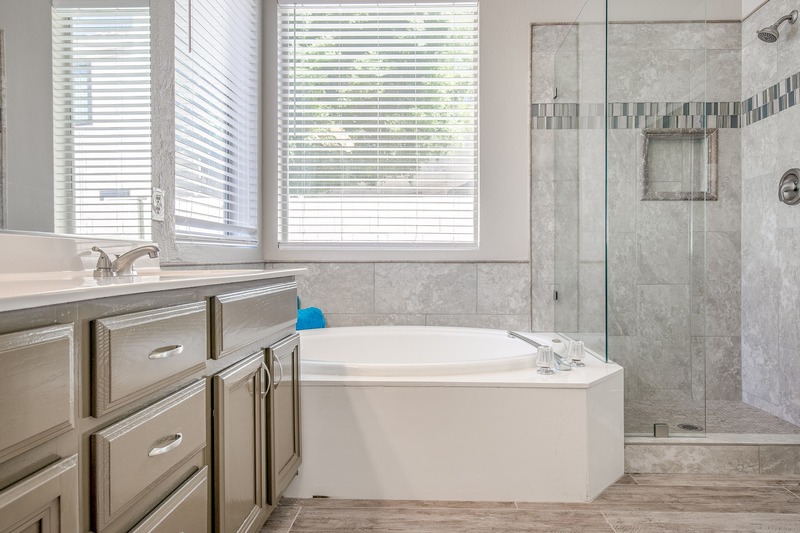 This spa-like space is perfect for waking up in each morning and soothing you to sleep each night. 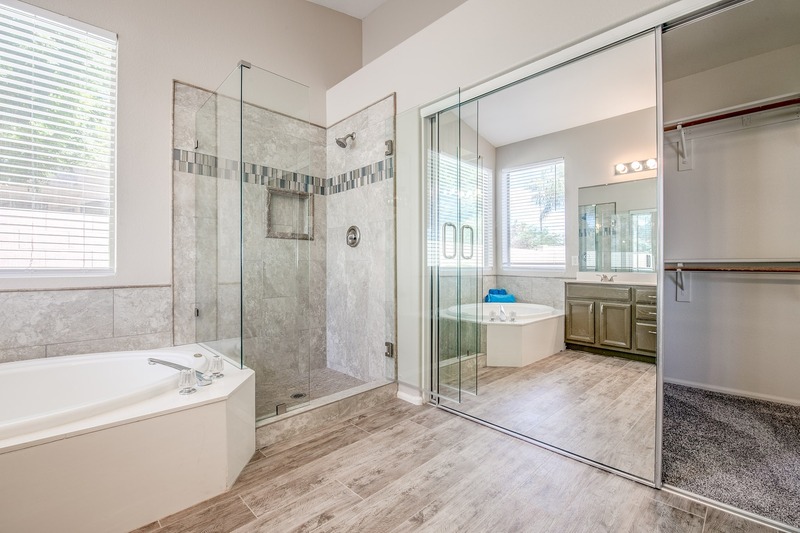 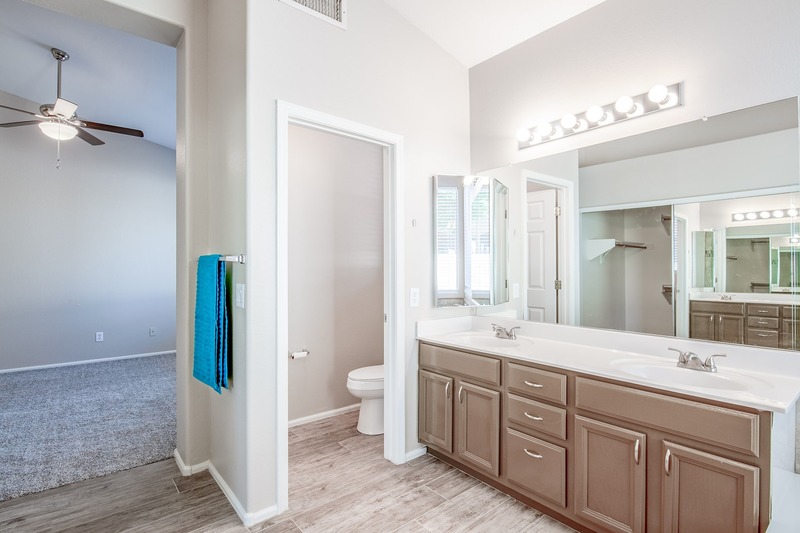 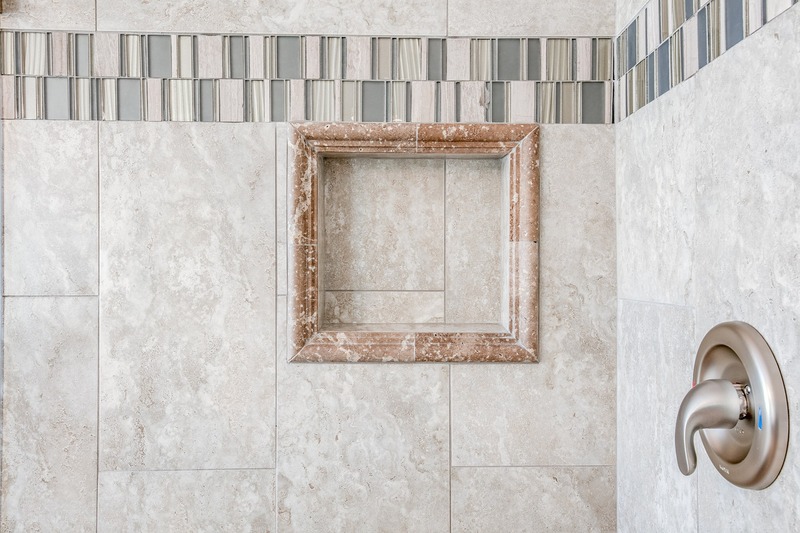 The master bathroom includes a large walk-in closet with built-in shelving and a complete remodel of the bathroom shower and soaking tub with refinished cabinetry and new fixtures. 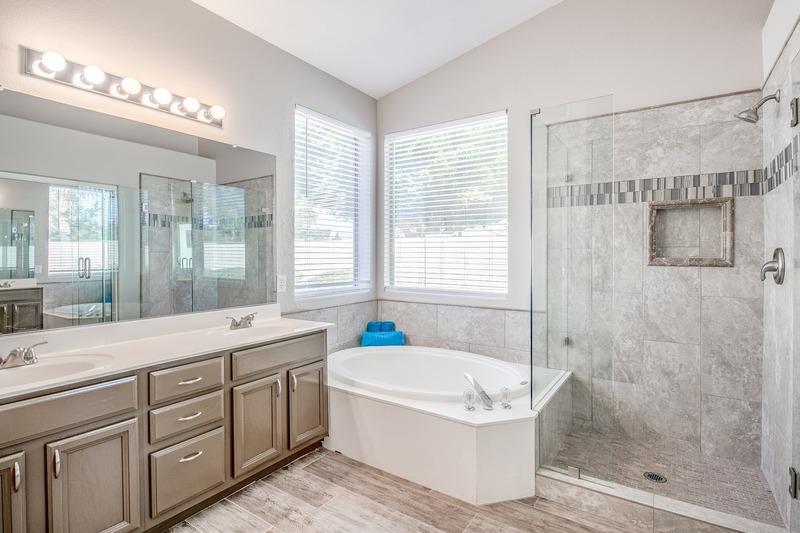 Two additional guest bedrooms and a full bathroom mean easy access for guests or family in this four bedroom home. 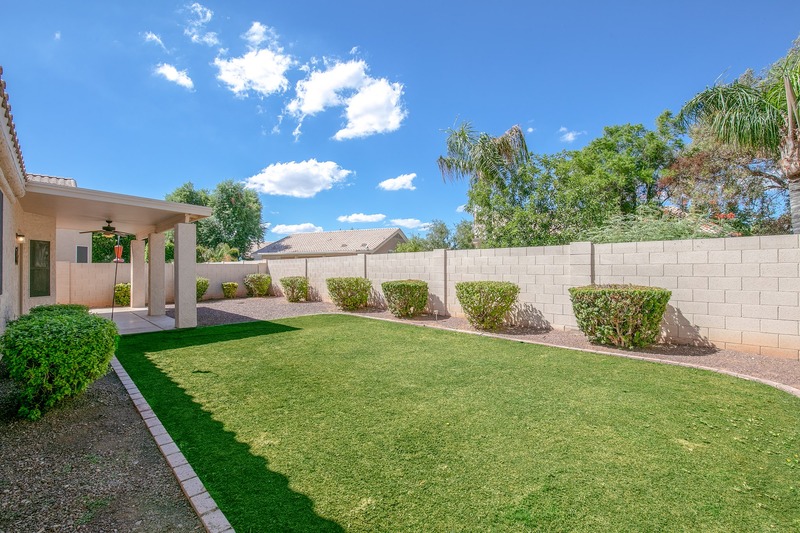 Enjoy a green backyard with grass for the pets and kids! 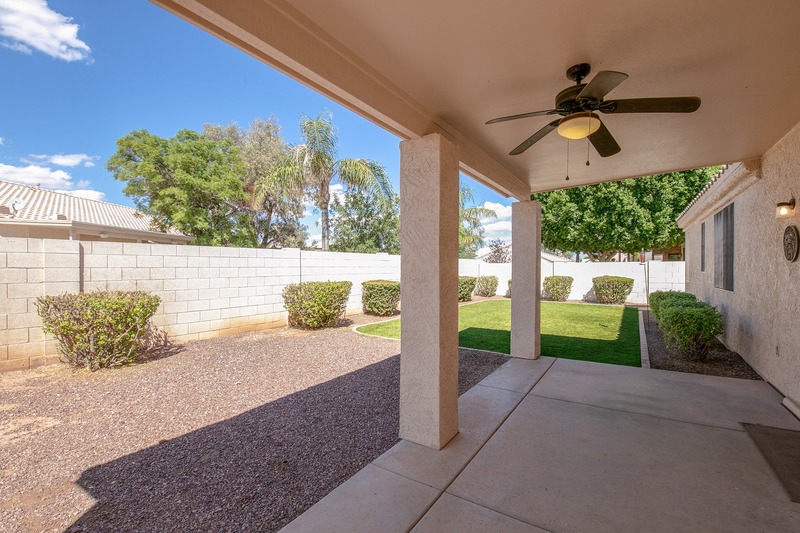 Host your next backyard barbecue under the shade of the covered patio and enjoy the Arizona nights. 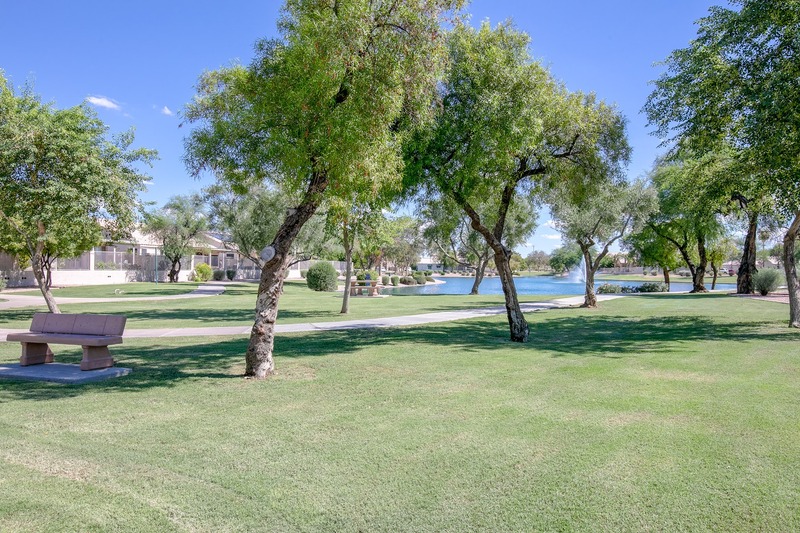 You and your family will look forward to entertaining in this wide open yard, with low-maintenance landscaping and a private yard. 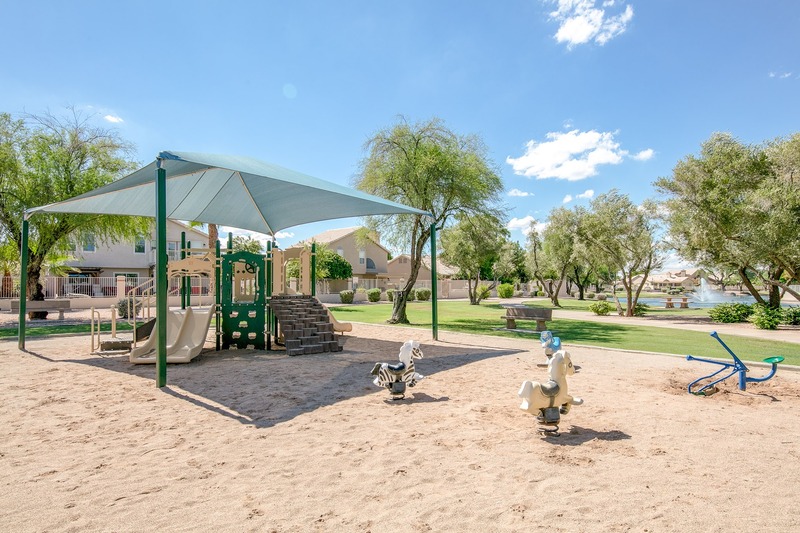 This home has more than just an amazing interior, its community is also amenity packed. 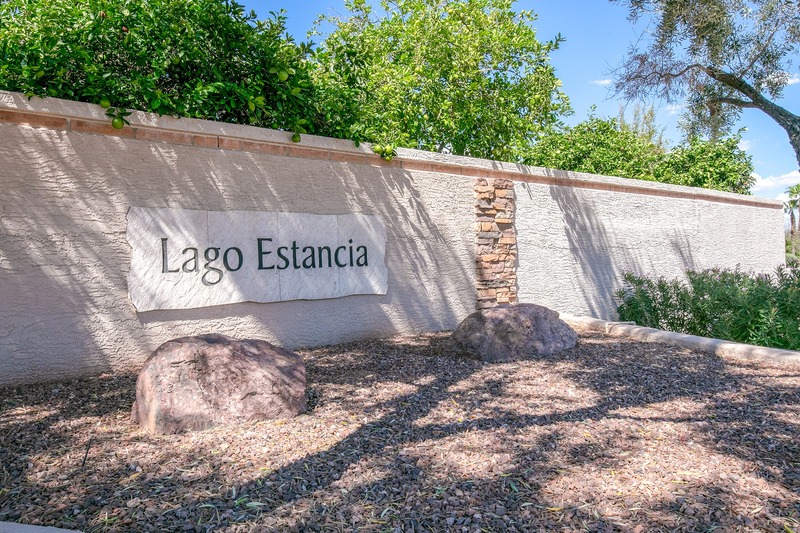 With peaceful lakes and beautiful views, this home is part of a welcoming community. 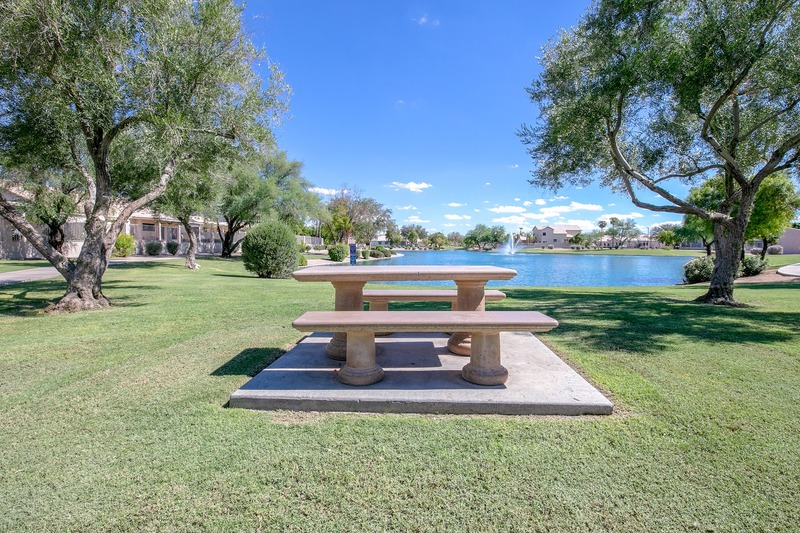 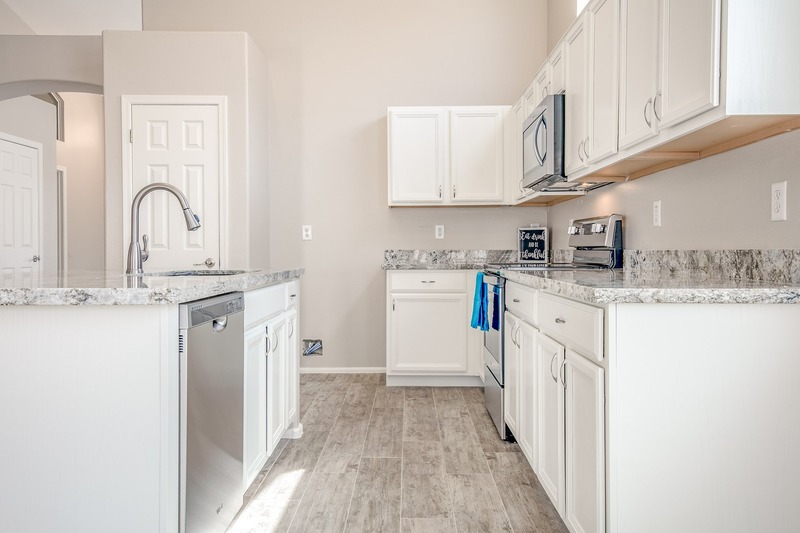 Enjoy an outdoor lifestyle with walking paths and parks just steps from your door!